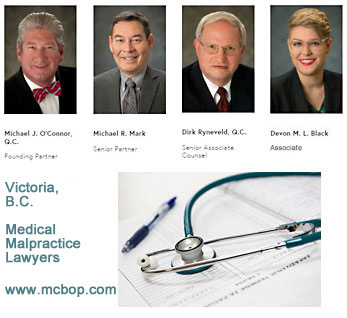 Has been practising medical malpractice & negligence law for over 30 years, e.g. in cases of hospital error, physician error or pharmacy / prescription rx error. See his pioneer and ongoing work in the Class Actions & Product Liability area of Lawyers-BC.com and his work in the case that led to Canada's Red Cross Tainted Blood Class Action - the largest class action settlement of its time. Felicity was called to the British Columbia Bar in 1996. Felicity has a broad legal experience. Prior to joining our civil litigation practice [Lemer & Co.] in 2007, Felicity practised corporate commercial law, specialising in transactions and intellectual property law. Felicity has experience in advertising law and consumer protection law and has worked in the Enforcement Division of the British Columbia Securities Commission. Felicity was called to the Bar is South Africa in 1990 where she practiced. Prior to coming to Canada, Felicity obtained a Master's Degree in Law from the University of London. 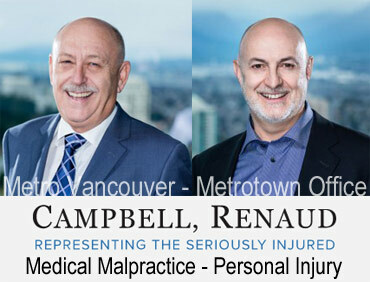 VANCOUVER, BC, Medical Malpractice Lawyer Rose Keith, is also well known as a personal injury / I.C.B.C. claims disputes plaintiff's lawyer. If you are dealing with an injury resulting from a possible case of medical malpractice, you need a lawyer with the resources and experience to take on your claim. Medical malpractice is an extremely complex area of law. Claimants are required to meet a high burden of proof, and expert evidence is often required to support a claim for medical negligence. Our lawyers can review your case and provide you with a pragmatic and realistic assessment of your options. If litigation is the right course for you, we have strong relationships with qualified experts who can provide an unbiased opinion on your case. Our lawyers will advocate aggressively for your interests at every stage of the process, and are equally comfortable representing you in mediation or at trial. We also understand that litigation is expensive. Depending on the facts of your case, we may be able to take your case on a contingency - meaning we don't get paid until you get paid. Contact us for a free, no-obligation consultation. If you can't come to us, we'll come to you - we make home and hospital visits when necessary.